We only use quality traditional ingredients with proven palatability, which are then molassed to ensure good intakes and minimal dustiness. Tamar Milling sheep blends are energy dense, with quality protein sources and are in a coarse form to stimulate and maintain full rumen function. Supplemented with trace elements, vitamins and minerals. All our lamb blends are supplemented with ammonium chloride as an aid to preventing urinary calculi. Highly palatable coarse mix containing flaked maize and peas with rolled barley, soya, molasses and other quality ingredients to encourage lambs to eat solid feed as early as possible and develop rumen function. A coarse blend of rolled barley, soya, sugar beet pellets, molasses and rapemeal. 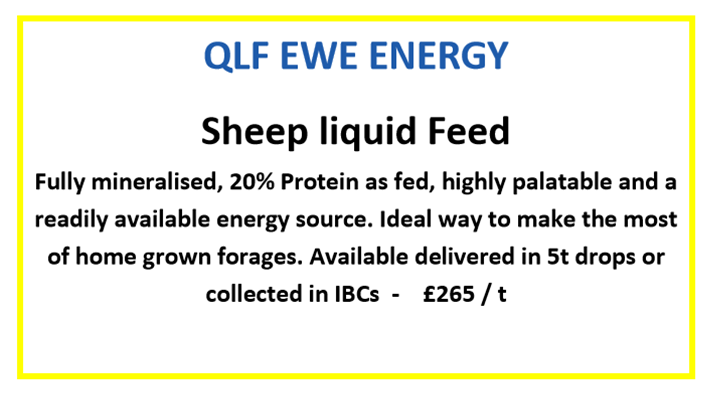 A palatable, high performance creep feed, allowing lambs to grow to their potential and meet the toughest of market requirements. A high energy mix of Rolled barley, sugar beet and molasses energy sources, with soya, rapemeal and wheat distillers as sources of protein. Premium ewe is suitable for pre and post lambing supplementation. High cereal content finishing blend for rapid finishing of store lambs and well grown new season lambs. Contains ammonium chloride as an aid to prevention of urinary calculi.